Tnpsc Group 2 2A Exam Previous Year Question Papers With Answers Pdf www.tnpsc.gov.in details provided below. Tnpsc group 2A Answer Key Non Interview posts Answer key 2019, 2018, 2017, 2016, 2015, 2014, 2013, 2012 also updated here. Those who are searching TNPSC Group 2 & 2A Old Questions Papers Download Pdf, can utilize this page. We have provided TNPSC Group 2 & 2A Old Questions Papers Download Pdf here for your reference. Tnpsc Group 2 Exam Going to held on 11.11.2018. Total Vacancies are 1199. TNPSC Group 2, 2A Previous Question papers are available here for the candidates who are going to write the exams which are going to be conducted by the TNPSC to fill the vacancies in the categories 13 To 14 Department jobs in various posts in Group 2 And 2A. The tnpsc Group 2, 2A Question Model Papers 2011, 2012, 2013, 2014, 2015, 2016, 2017 help the students to prepare well for the exams without spending the time searching for the materials of previous year questions around. The candidates who are preparing for theses TNPSC group 2, 2A exams can check these new previous papers model sample papers tnpsc which are provided below. TNPSC group 2, 2A model papers are available in pdf which are easy to download. TNPSC Group 2, 2A Previous Question papers the new previous years’ papers of TNPSC Group 2, 2A 2017 are published by the officials in the official website of the TNPSC i.e. www.tnpsc.gov.in. The candidates who are interested in Executive and non-executive And Interview And Non Interview jobs in different departments in the government of TN can apply for these examinations after the official Notification of Recruitment is published by the Government of Tamilnadu State. TNPSC Group 2, 2A Previous Question papers We also provide you with the model papers with answers Key and the exam syllabus for the Group II, II A exams TNPSC. 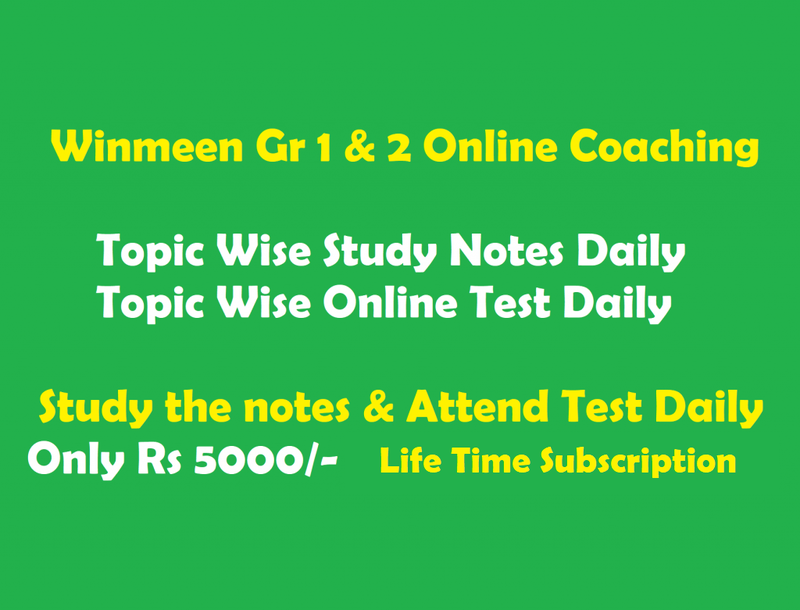 The Taminadu PSC Gr II, Gr IIA Exam Model Papers are here for free download. The aspirants who are going to apply for the TNPSC Groups Jobs can get ready with the important materials. The Tnpsc Group 2, 2A Old Question Papers will be help for the applicants for perfect preparation. So, you can download the Tamilnadu Public Service Commission Group 2, 2A Exam Last 10 Years Papers in addition to the Solutions of asked questions. You can also download these TNPSC Sub Registrar, Grade-II, Assistant Section Officer, Asst Commercial Tax Officer, Junior Employment Officer Sample Papers from the TNPSC Official Website or winmeen.com. The applied candidates can use these TNPSC Exam Practice Papers just as a reference for your preparation because the enclosed Old Papers may not contain the original content. These Tamilnadu Tnpsc Group 2 Previous Papers PDFs will be useful just for the practice purpose. Thank you very much Sir. Great Effort. we don’t send any files to mail for everyone. Download by clicking correct link. hi sir pls update previous year questions for forest apprentice, it will be very helpful for us..
Good afternoon..sir kindly publish the answer key for impact ias academy group 2A model test series from 1to 6 in your website..It will be helpful for us. Do yu hav the impact model papers answer key? Sir kindly upload the answer key for impact academy group 2a test series. Sir kindly publish the answer key for impact ias academy group 2A model test series from 1to 6. Group 2 was last conducted in 2015.